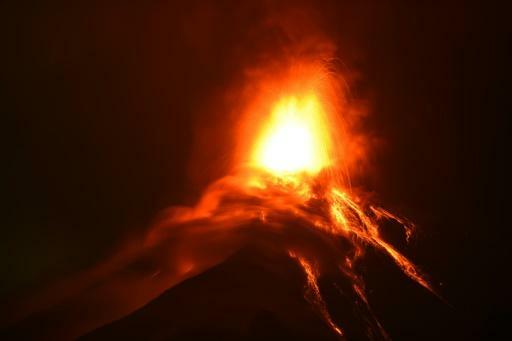 Guatemalan authorities on Monday declared a red alert after the Fuego volcano erupted again, forcing nearly 3,000 residents to flee. A spokesman for Guatemala’s disaster management agency CONRED said 2,995 residents in the municipality of Escuintla and two other districts were the last one and following a June 3 moved to shelters as a precaution. The spokesman, David de Leon, told reporters that the eruption became increasingly violent after it began Sunday morning at the volcano which is 3,763 meters (12,246 feet) high and located 35 kilometers (22 miles) from Guatemala City. Escuintla authorities declared the red alert. Lava is rising 500 meters above Fuego’s crater, while the ash column exceeds one kilometer above the volcanic cone and is c ausing a rain of particles, the Institute of Volcanology said. The previous eruption lasted from October 12-13 with loud booms and lava flow. It caused the evacuation of 62 people and closed a highway.